Each day is an opportunity to make changes, and you have taken a courageous first step in seeking help. Hello and welcome! 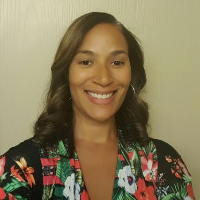 My name is Tamala and I am a Licensed Professional Counselor. I have a two MS degrees, Psychology and Counseling, and have completed extensive graduate work in separation and loss and substance abuse. I have been working in the field of Counseling and Psychology since 2006, and have experience with individuals of all ages, backgrounds, and diverse populations. I have provided counseling services in an inpatient hospital, outpatient substance abuse clinic, school system, adult and juvenile correctional facility, and with military families. I use Solution Focused Therapy; this approach focuses on solution building by utilizing your current resources to generate feelings of optimism and confidence in your choices. I am encouraging, open-minded, and interactive. I consider the therapeutic experience as a collaboration between the therapist and client. I believe that change is constant, and everything we encounter in life requires personal resiliency. I am here to help you build your personal resiliency. I look forward to working with you. Would you like to write a review for Tamala Downum? We'd appreciate if you can spend a couple of minutes to write a short review for Tamala Downum (MS, LPC). This review would be shared with Tamala Downum. It may also be posted in our website or in Tamala Downum's profile but it would be anonymous and your identity would be kept completely confidential.